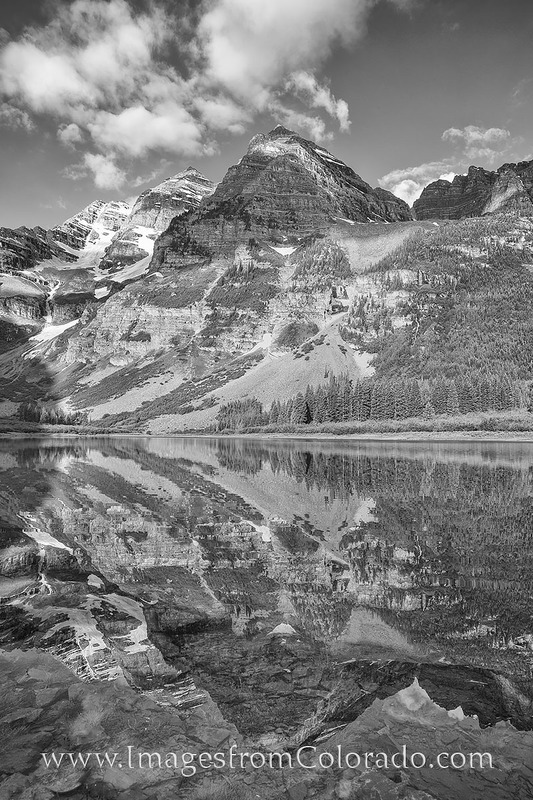 Rising over 14,000’ feet above Crater Lake, Maroon Peak and North Maroon Peak tower over the still waters of this tranquil area. Only a 2.3 mile walk from Maroon Lake, this body of water is often quiet, but offers great views of the surrounding Rocky Mountains. Photo © copyright by Rob Greebon.